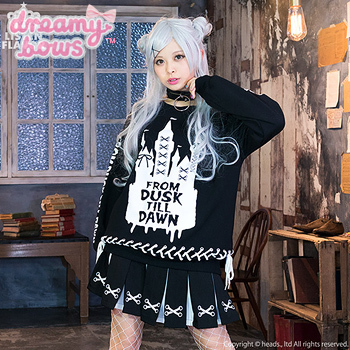 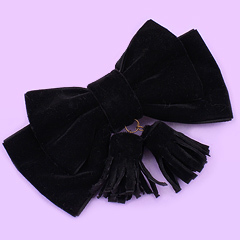 Unique and cool lace up sweater that can be co-ordinated with darker styles such as Harajuku Punk, Creepy Cute, Goshikku and Rokku Gyaru. 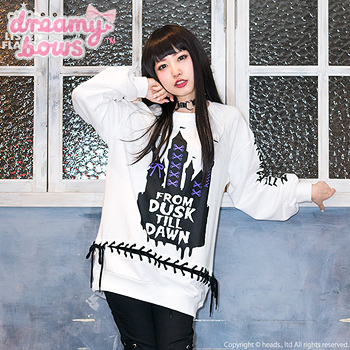 This chic and unique sweater by Listen Flavor is bursting with attitude for those with a edgy but feminine side. 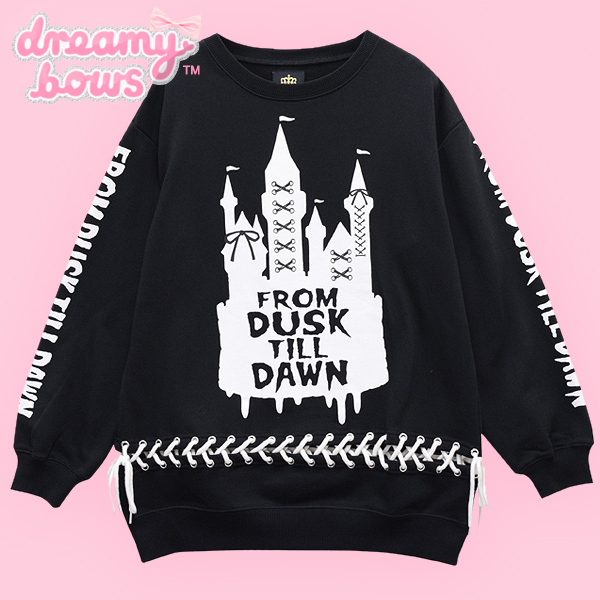 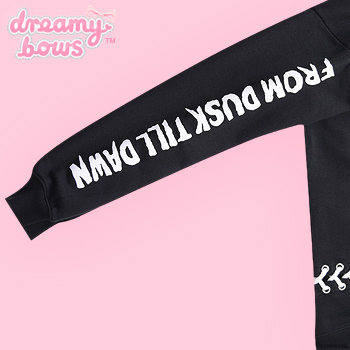 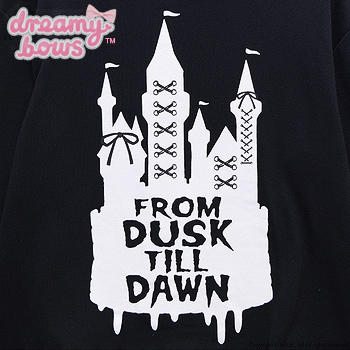 Featuring a Disney-esque drippy castle motif, the slogan says "From Dusk Till Dawn" and the same phrase is printed down both sleeves. 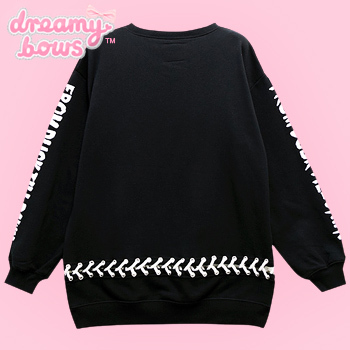 The bottom of the sweater also has an awesome lace up detail running all the way around for a more impactive look.